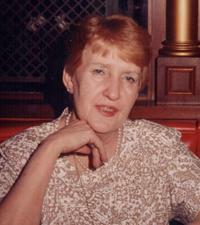 Phyllis J. Iljinsky 84, 1174 Westwood Dr., Sidney, Ohio passed away at her residence of natural causes on Saturday, July 13, 2013 at 8:50 PM. She was born March 2, 1929 in Piqua, Ohio, the daughter of Alfred and Grace (Marlow) Kupper and they are deceased. Surviving is a daughter, Margene Bennett of Sidney, Ohio and a son, Ray Spoltman and wife Virginia of Sidney. A son, Steve Spoltman is deceased.